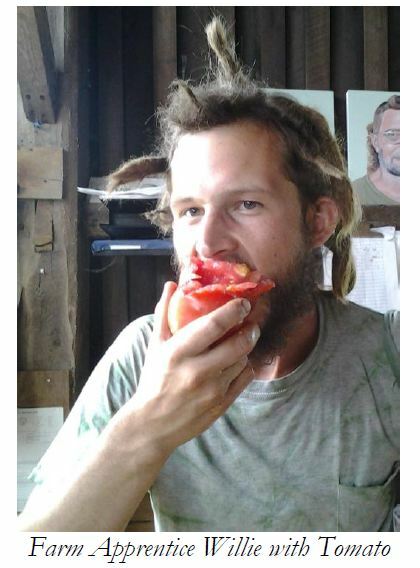 This blog site has moved to: http://growfoodnewengland.com/ The older posts will be maintained but all new posts will be found at the new location. 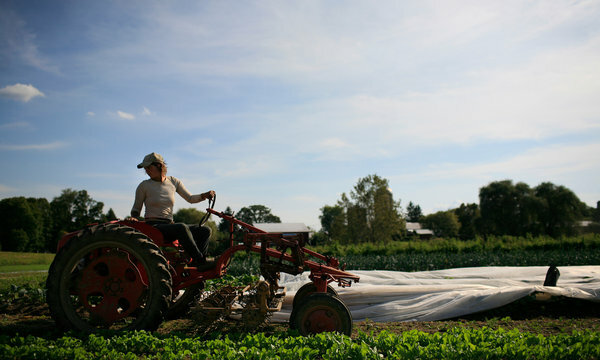 RED HOOK, N.Y. — It was harvest time, and several farm hands were hunched over a bed of sweet potatoes under the midday sun, elbow deep in soil for $10 an hour. But they were not typical laborers. The following story was originally posted in the Simple Gifts Newsletter. It may have been a trick of the light, but Mike Gula thinks that he may have found paradise at Simple Gifts Farm one evening last year when a hazy yellow sky illuminated the strawberry fields in June. I have seen that light too, from the Festival Hill after a long day, and think I know what he means. 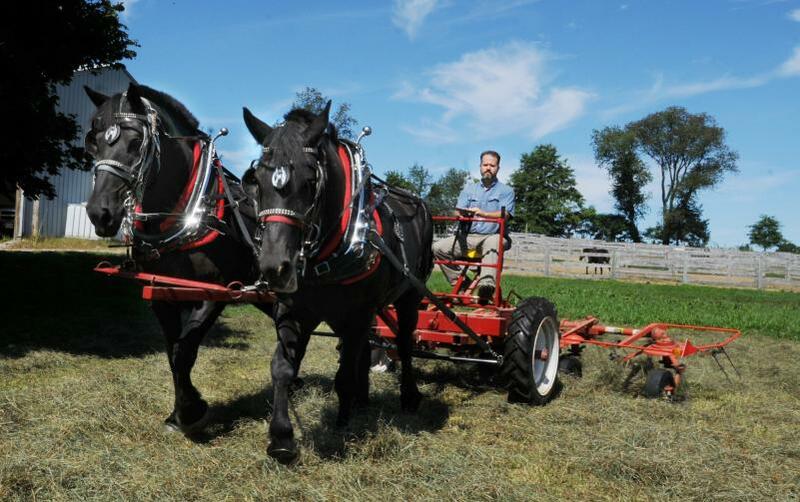 UMass Graduate, Emily French, and Stockbridge School of Agriculture Instructor, Catherine Sands, recently published this editorial in the Daily Hampshire Gazette. WILLIAMSBURG – There’s a lot of talk about school food these days, thanks in part to Michele Obama’s Let’s Move Campaign, and to the people chipping away at a top-heavy system that doesn’t stress fresh healthy food and the educational opportunities that abound when students learn how their food is grown and how to find it close to home. The Farm to School movement is growing faster than we can count. Steps to provide healthy, fresh food at school meals and to build purchasing relationships between farms and institutions abound. Fertile Ground, a grassroots farm to school initiative, recently produced a School Food and Community Forum at the Jackson Street and Williamsburg elementary schools. Funding from Cooley Dickinson Hospital and the Community Foundation of Western Massachusetts provided us with the means to facilitate two afternoons of conversation and resource sharing among teachers, food service staff, school administrators, nurses and families. Over 80 people from 20 schools attended. These conversations now ripple out into our communities. Here’s some of what we heard: We know that farm-to-school programs are in over 10,000 schools in all 50 states. In Massachusetts alone, over 300 public school districts, private schools and colleges are directly purchasing locally grown food from more than 110 farms. School gardens enhance classroom learning and cafeteria choices with the hands-on experience that comes from growing our own food. We are making curriculum connections in math, science, language arts, history and economics – to teach the story of what we eat and why. In Williamsburg, a collaboration with the local Grange brings town elders into the classroom to make jam. Students visit a neighboring sugar shack. These experiences teach children about food as a system – the whole path from farm to fork, as author Michael Pollan puts it. Snacking on kale, tomatoes, sorrel and raspberries in their school garden helps expand their palettes. At the two forum events, we addressed new USDA regulations requiring schools to serve more fresh produce, whole grains and other healthy foods. We heard that public school food service departments are in the process of implementing new USDA food regulations. These include hefty servings of leafy greens and orange/red vegetables like squash, carrots, and beets. This is a great opportunity for our region, as our farms grow an abundance of these kinds of vegetables. Food service directors are trying all sorts of strategies. They are buying from the local apple orchard, collaborating on purchasing among school districts, entering into non-binding agreements with local farms for produce, processing and storing food during the summer and much more. The ingenuity we’re seeing among food service staff is inspiring. As a member of Farm to Institution in New England (FINE), the Mass. Farm to School Project is participating in a regional project that may result in New England dairy and beef cattle being processed into local ground beef for institutional markets. We heard a food service director note that people unfairly blame that sector for the child obesity crisis. Talk shifted to the topic of equipment needs – for instance, not having enough refrigeration space for fresh produce, inadequate stoves and a lack of steamers. We discussed a Franklin County food processing center’s flash-freezing pilot program, an effort to provide affordable, locally grown produce to schools and institutions during the agricultural off-season, thereby extending the season for local food in schools. One Williamsburg teacher described how her students will taste anything in the school garden: raw garlic, cucumber, sorrel and arugula, collards and kale, broccoli, you name it. They invent and prepare new recipes from the produce they have grown for an annual harvest feast. But they hesitate to taste new recipes (often using the same ingredients) in the lunchroom. In response, a parent, asked the food service director whether she would share the recipe with parents, either by sending home recipe cards or publishing recipes in the school newsletter. It takes multiple tasting of a new food for our kids to eat it, so encouraging parents to prepare the same new healthy dishes at home might make a difference in whether the kids will eat it at school. Together they are building a plan. Catherine Sands directs Fertile Ground, a grassroots farm-to-school initiative and teaches Community Food Systems and Food Justice and Policy at University of Massachusetts Amherst. Emily French is the Farm to Cafeteria Director for the Mass. Farm to School Project. This may come as a surprise, but when Willie Crosby was in high school, he had a pretty clear idea that he wanted to work as a greenskeeper at a golf course. Growing up in Boxborough, Massachusetts, he played golf with his family, and worked mowing lawns every summer. The neat lines and fresh smell of a just-mowed lawn were really pleasing to him. So, it actually was no surprise that he enrolled at University of Massachusetts as a Turfgrass major and spent two summers tending the turf at a golf course. However, as he continued his studies and work, he became less sure about his path. Keeping up turf takes a huge effort and heavy inputs, and Willie wanted to put that effort into work that he felt had a deeper value. 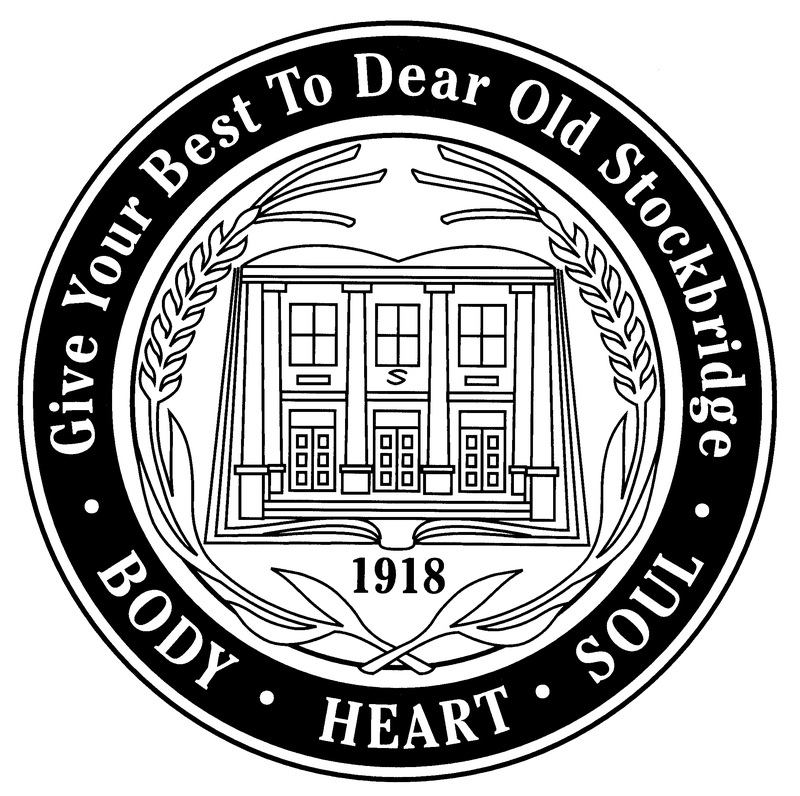 At the same time, he began to keep a small garden, and became friends with some of the Sustainable Food and Farming students studying in the Stockbridge School of Agriculture Program. Growing food pulled him in. 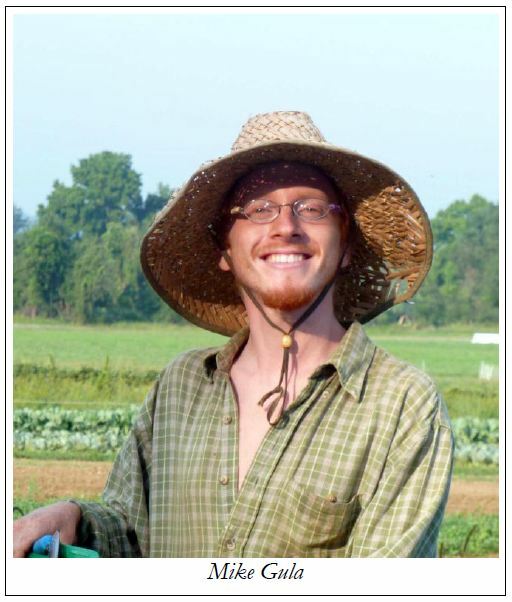 Soon he was involved in the UMass Student Farm, a two-acre student-run farm that offers a fall CSA. He also spent some time volunteering at Simple Gifts Farm, and joined the crew as an apprentice this season. Willie loves digging in the soil and appreciating the amazing food that comes from the good earth. Eating the produce is his very favorite part of working at the farm – especially all the melons right now. He also likes working with the animals. In fact, he and a friend started their own small flock of laying hens and ducks, and he has enjoyed raising them up from little chicks. Although some farm tasks are difficult – moving wet Remay (floating row cover fabric that protects crops from frost and insects) comes to mind – he mindfully takes the challenges in stride. In any spare time, you can often find Willie outdoors. Swimming is a favorite way to relax and burn off any extra energy, and he also likes experimenting with growing culinary mushrooms and gathering herbs. When I asked Willie if he still had secret plans for a manicured lawn in his future, he exclaimed, “No way!” – he envisions an overgrown meadow, forests and gardens. Growing and sharing food will definitely be part of his future, although not necessarily his profession. He plans to study to become a yoga teacher next year at Karuna Yoga in Northampton. We’re glad he’ll still be in the neighborhood, and greatly appreciate his calm, positive presence on the crew.